Why doesn't the Presley Estate buy it, considering its association to Elvis and the man who managed his career? They could use it as a second museum. I'm not sure that an Elvis museum would be a success in Nashville because of its association with country music rather than rock 'n roll. But the house should be preserved and maybe continue as office space or some other business. Maybe if it was closer to Memphis, Elvis fans who visit Graceland would also want to see Col. Parker's home, but it's almost 300 miles from Memphis to Nashville. Next week will be the 40th anniversary of his death, so there should be some interesting updates. MEMPHIS – People from around the world are here in Memphis to pay their respects to the King of Rock ‘n’ Roll. But the 40th anniversary of the death of Elvis comes with some changes. For the first time ever, there will be a nearly $30 fee to participate in the once-free vigil. 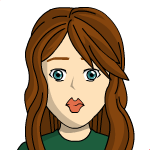 In the past, visitors have been able to take part in the event without paying anything extra, but this has changed. Guests will now need a property pass wristband to enter all non-ticketed areas of the Graceland property during Elvis Week. The Elvis Week Property Pass will give people access to the Elvis Week Entertainment Tent, Ticket Pavilion, restaurants and select gift shops and free parking after 5 p.m. These property pass wristbands are not for individual sale, they are included in Elvis Presley’s Memphis tickets. A one-day ticket will cost you $28.75. Additional days are then available at a discounted price. “This year we have updated our security measures at Graceland for Elvis Week, as we anticipate very large crowds for this 40th anniversary. In order to keep everyone safe and ensure an enjoyable and meaningful event for all, we have worked closely with local, state and federal security authorities to establish new procedures that have been widely used across the US. “An Elvis Week Property Pass wristband now allows guests to enter all non-ticketed parts of Graceland property throughout Elvis Week, including the Elvis Week Entertainment Tent, Ticket Pavilion, restaurants and select gift shops, plus free parking after 5 p.m. This wristband is included with a ticket to Elvis Presley’s Memphis during Elvis Week (our lowest priced tour ticket). Since the vast majority of our guests take our tour as part of their visit during Elvis Week, there is no additional cost to them. “During the Candlelight Vigil evening, we invite everyone to join us on Elvis Presley Blvd. in front of the Mansion. Guests are welcome to stay in this area throughout the evening to watch the Candlelight Vigil ceremony and observe the procession without a Property Pass. “As with all other Elvis Week events on the Graceland campus, to join the procession up to Meditation Garden, guests will need their Elvis Week Property Pass wristband. For guests who join us for Vigil night only and wish to join the procession, they will be able to purchase an Elvis Presley’s Memphis tour ticket that evening and receive their Property Pass. The change comes a year after protesters were arrested outside Graceland. Source: Dave Detling, LocalMemphis, August 11, 2017. Has anyone bought Col. Parker's house? The house is gone; the location is being turned into a carwash. It's a shame that with all of those millions of Elvis fans, they couldn't come up with some way to save the house. Even if they each contributed $1, it would have been more than enough to buy the house and turn it into a museum. Nashville and the surrounding area aren't big on historic preservation. A lot of the beautiful old houses and buildings in Nashville are gone and more are torn down every year. In 1992, the U.S. Postal Service conducted a nationwide survey to determine which face of the late Elvis Presley would be immortalized on a 29¢ stamp: a 1950s Elvis with a pompadour and tweed jacket, or a 1970s Elvis with mutton chops and a jeweled collar. Everyone knew exactly how this vote was going down. Never mind that the “mature Elvis,” as the more respectful media reports called him, was the Elvis of “Suspicious Minds” and “Kentucky Rain” and arena-filling world tours. Never mind there was nothing visible of this Elvis below his bright eyes and Rushmore-firm jaw; nor that the man was selling millions of albums and actually fitting quite nicely into his jumpsuits through most of the era, thank ya vera much. Mature Elvis was inescapably tainted in the public mind by the dismal spectacle of his final year or two – the startling weight gain, the sluggish performances, the final collapse beside the toilet. Even 15 years after he had died, Mature Elvis was still “Fat Elvis” for too many people, and Fat Elvis was an embarrassment. By a 3-to-1 margin, America voted for the Elvis of an even more distant past. 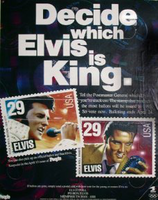 To this day, the Elvis stamp remains the most popular US postage stamp of all time. Wednesday marks the 40th anniversary of Presley’s death and with every passing year, it has become ever more clear that Elvis picked the absolutely worst time to die. He was 42 in August of 1977, a very awkward age for a rock star. Perhaps especially so for the first rock star. It was hardly the first rock-star death. There had been a bumper crop at the beginning of the decade – Jimi, Janis, Jim Morrison. But they were all stars on the rise, with nothing but hit records and gorgeous photos in their wake. Their final moments were drug-addled and reckless, but they were only 27, so in death they achieved the James Dean-effect later conferred upon Kurt Cobain – frozen in a moment of youthful promise. This was not Elvis’s moment. “Elvis is fat,” The Washington Post’s Style section declared in June 1976 when he performed at Maryland’s Capital Centre. “Not only is he fat, his stomach hangs over his belt, his jowls hang over his collar and his hair hangs over his eyes.” It was (only) 20 years after he had electro-shocked the culture with “Heartbreak Hotel” and “Hound Dog.” At the time, it probably felt like speaking truth to power. And then he died. His death was front-page news, a global event, another shock to the culture – and yet for many, it was as if they were mourning a man who’d died years ago, not a contemporary in vital middle age. “Yesterday afternoon the ’50s bit the dust,” another Post writer proclaimed. “The King was gone ... just like that, the blue suede shoes empty.” She went on to evoke a swiveling pelvis, The Ed Sullivan Show, high school sock hops, her old Sun 45s. Dying young – but not James Dean young – meant that Presley’s image was mired in the 1970s aesthetic that the culture was on the cusp of firmly rejecting. He couldn’t be appreciated without a wink. Dread Zeppelin, an early 1990s novelty act, put Led Zeppelin tunes to a reggae beat and of course their drawling lead singer was a jumpsuited fat guy named Tortelvis, ha ha. Elvis impersonators capered all over the Nicolas Cage comedy Honeymoon in Vegas, part of a running shtick. It also meant that he missed out on the comebacks and critical reevaluations enjoyed by other performers after years in the wilderness – Glen Campbell, Leonard Cohen, Brian Wilson, Tom Jones, Johnny Cash. It’s thrilling to imagine Elvis in the 1990s, doing an MTV Unplugged concert or a VH1 Storytellers, with short hair and a gorgeous suit, that voice of his enveloping a room. It fell to other artists (the Rolling Stones, Chuck Berry, Bowie), slightly younger or at least more durable, to figure out how to grow old as rock stars and then to offer those aesthetic templates up to even younger rock stars – expensive tailoring, corporate gigs, pared-down ballads, country estates, supermodel second wives, environmental activism, knighthoods. And yet, Guralnick says, “I don’t think Elvis wanted to grow old as a rock star.” Grow old, sure. Elvis was sick and suffering a crisis of confidence, Guralnick explains, but people come out of tailspins and so might have Elvis had his heart not stopped that day 40 years ago. There could have been a life-altering surgery, some antidepressants, a trip to Betty Ford and then a long climb back. Source: Amy Argetsinger, The Washington Post, August 15, 2017. There could have been a life-altering surgery, some antidepressants, a trip to Betty Ford and then a long climb back. But there was no way that Elvis would have ever had that "life-altering surgery" because it would have meant wearing a colostomy bag. The first sighting. Shortly after Elvis’ death, a man headed to Memphis airport and purchased a one-way ticket to Buenos Aires, Argentina. Reportedly the man looked like the pop star and gave the name “John Burroughs,” an alias Elvis used when booking hotels. Could it have been the King in disguise? The headstone theory. On his gravestone, Elvis’ middle name, “Aron,” is spelled “Aaron.” Some fans believe the misspelling was intentional, a way of letting his fans know that he wasn’t buried there. Elvis had Mafia connections. Gail Brewer-Giorgio, author of the 1988 book Is Elvis Alive?, told Time that after reviewing tons of FBI documents, she concluded that Elvis had been forced to go into witness protection after he assisted the FBI in taking down a criminal organization called “The Fraternity.” Elvis had to fake his own death when he was found to be a mole. “Elvis faked his death because he was going to be killed and there was no doubt about it,” Brewer-Georgio insisted. On his 82nd birthday. What would you do on your 82nd birthday if you were one of the biggest stars in the world and had been pretending to be dead for almost four decades? Head to Graceland, obviously. A photo appeared on the “Elvis Presley Is Alive” Facebook page in January of a white-bearded man with security personnel in the top left hand corner of the picture, who fans speculated could be guarding Elvis. In Home Alone. There’s a mad theory, discovered by Noisey, that Elvis made an appearance in the 1990 film 13 years after he died. 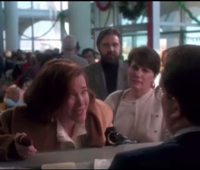 As Kate checks flight availability, a bearded man (above) is seen in the background and the theory is that fellow is Elvis. He looks the right age – Elvis would have been 55 in 1990 – and there’s some similarity in the eyes and his hair color is his natural shade – Elvis dyed his hair black. It’s tenuous, but stranger things have happened. Right? Source: Hannah Mylrea Hemmings, NME, August 16, 2017. Can you imagine the jokes on Saturday Night Live and Johnny Carson if he'd had that operation? I can understand why he chose to die rather than have it. I had forgotten that this was the day Elvis died until I read the Thought for the Day. I haven't seen anything about it on TV or on any of the news sites that I read. He may have sang about Heartbreak Hotel, but when it came to his own vacations, Elvis preferred to spend time in his 60-foot, two-bedroom mobile home at his Circle G Ranch in Mississippi. Circle G Ranch was a getaway for Elvis, Priscilla and his gang of close friends, nicknamed the Memphis Mafia. There were enough mobile homes to house them all when they wanted to escape media attention. “They would all congregate there in their secret little hideaway ... It’s a neat idea for that time. So it just shows a lot of his personality – and he loved his fans, but he also needed to be a human being and have some privacy too,” Kruse explains. Elvis purchased this particular motor home in 1967. After his death, the vehicle changed hands twice. “No one’s ever changed their registration because they always wanted it to be in Elvis’ name,” she adds. There are some other exciting items up for bid in this pop culture-themed end of summer sale. “We put a lot of love and care into putting together this particular auction. It’s probably one that I’m most proud of at this point,” she says. “We have one of Michael Jackson’s gloves and we also have a pair of coveralls from Titanic [the movie].” In addition, there’s a coveted prop from the The Wizard of Oz. “Things from that movie just don’t come up for auction very often – most of these pieces were destroyed or lost,” Kruse observes. There are also other items on sale associated with Elvis – including three cars and a traveling replica of Graceland. If you fancy owning Elvis’ motor home, what are you waiting for? A little less conversation, a little more action and you can register your bid online now. Sources: Francesca Street, CNN, August 16, 2018, and GWS Auctions. On the auction site, the bids on the 3 Elvis cars are only $2,500, $2,300 and $1,100. That's very reasonable for a car owned by Elvis and they all seem to be in good condition.